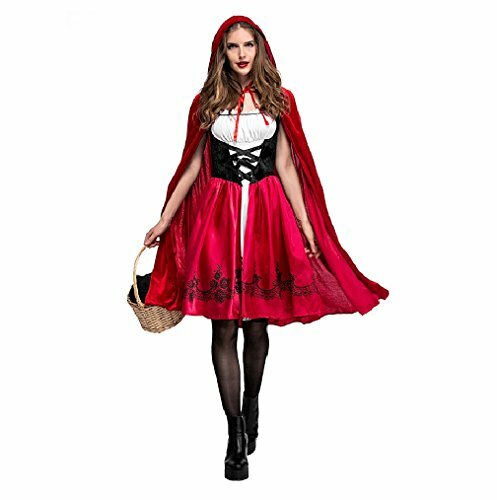 Honey Box produce any kind of style costumes. 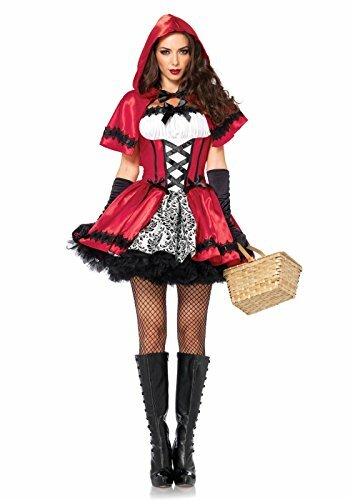 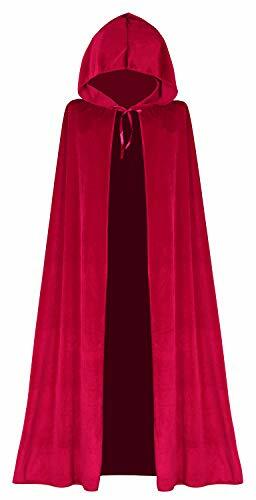 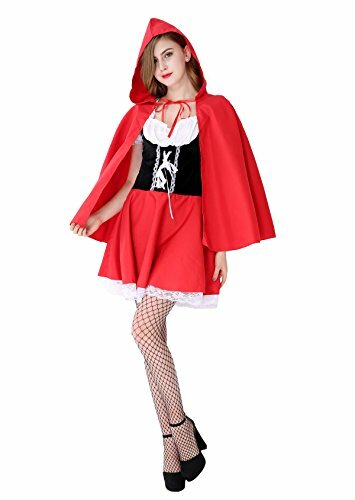 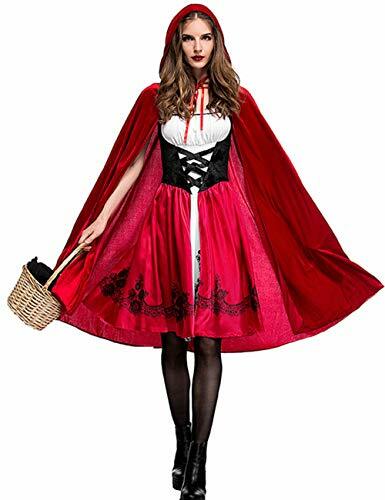 The Red Riding Hood Dress is beautiful and comfortable. 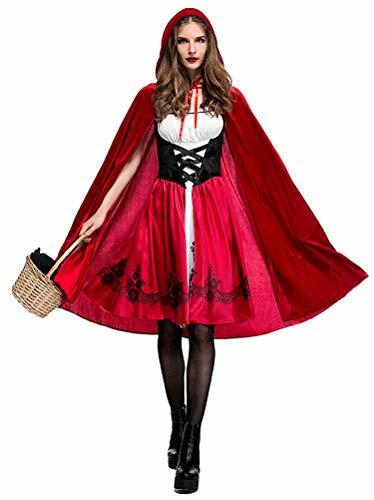 Complete costume includes: Dress,Cape. 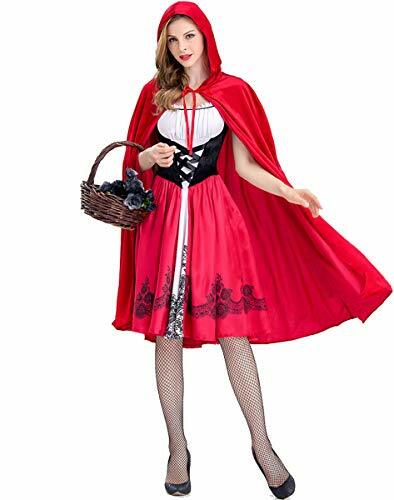 Available size: S,M,L,XL,XXL.Size Information (in Inch):S: Cloth Length=33.8; Chest=27.5; Waist=21.2; Shoulder=13.8; Cape=25.6; M: Cloth Length=34.6; Chest=30.7; Waist=24.4; Shoulder=14.2; Cape=26.4; L: Cloth Length=34.6; Chest=33.8; Waist=27.5; Shoulder=14.6; Cape=26.4; XL: Cloth Length=35.4; Chest=35.4; Waist=30.7; Shoulder=15; Cape=27.2; XXL: Cloth Length=36.2; Chest=38.6; Waist=33.8; Shoulder=15.7; Cape=28.3; Enjoy on it!